Pursuant to Rule 15(b)(2) of the California Rules of Court, Gerry Armstrong, respondent and real party in interest, hereby applies for an extension of thirty days until November 21 to file his respondent’s brief in Case No. A107100 and to file his opposition in Case No. A107095. 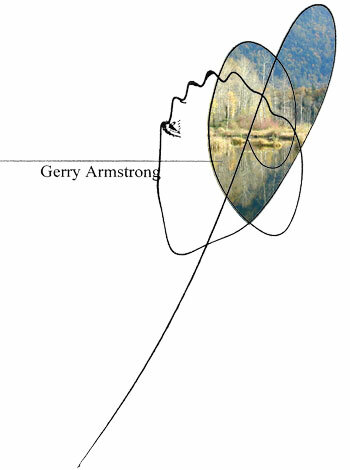 This application is based on the declaration of Gerry Armstrong that follows. 1. I am the respondent and real party in interest herein. I am over the age of eighteen. I have personal knowledge of the facts stated herein and could competently testify concerning these facts if so required. 2. It is not possible for me to complete and file my respondent’s brief and opposition to Scientology’s writ petition by their due date, October 22, 2004, and I require a thirty-day extension of time in which to file said brief and opposition. 3. On October 15, I e-mailed a letter to Andrew Wilson, attorney for appellant and petitioner herein, requesting that he stipulate to such extension, and on October 16 I faxed Mr. Wilson the same letter and a proposed stipulation for his signature. A true and correct copy of said letter and proposed stipulation are appended hereto as Exhibit A. I followed up my e-mail and fax letter with telephone calls to Mr. Wilson’s office on October 18 and 19 and today. During all three calls, I spoke to a person in Mr. Wilson’s office, and gave her my name. In the first two calls, I gave the person my telephone number for Mr. Wilson to call me in response. In the call today, she connected me to Mr. Wilson’s voice mail and I left a message for him. 4. I have received no response, by e-mail, fax or telephone from Mr. Wilson. This is not unusual or unexpected, because Mr. Wilson has many times in the litigations between us over the past thirteen years not responded to usual communications in routine matters such as this routine request to stipulate to an extension. In the unlikely event that Mr. Wilson would not receive my e-mailed and faxed letter, on October 17 I also e-mailed my letter to David Miscavige, the person who runs Scientology and controls all aspects of Scientology’s legal activities including this appeal and writ petition. I have also not received a reply from Mr. Miscavige. I cannot wait longer for Mr. Wilson or Mr. Miscavige to respond to my letters and stipulate to an extension because I must file this application before the brief and opposition are due. 5. There have not been previous applications granted or denied to any party after filing of the notice of appeal. 6. The good cause for the grant of this application is as is provided in my letter of October 15 to Mr. Wilson, Ex. A hereto. I will restate these reasons here to explain certain things that might not be known or obvious to this Court. 7. I am not a lawyer, have no legal help, and it is neither easy nor quick for me to generate the required responses to Scientology’s legal filings from all the legal help it has. I am in forma pauperis, without any funds whatsoever, and must try to borrow funds just to make the necessary photocopies to file and bind my brief and opposition and the appendixes thereto. the demand of these duties on my time has increased dramatically over the past month or more. 9. I am the founder and head of the Church of Wogs (“CoW”), a global faith dedicated to protecting wogs from Scientology defamation and persecution. “Wogs” is the term organization founder L. Ron Hubbard used and Scientologists still use for non-Scientologists, and is a racial epithet, both inside and outside Scientology, equivalent to “niggers.” I am a wog, and there are over six billion wogs in the world, which Hubbard and Scientology in fact call the “wog world.” My words about Scientology and wogs are religious expressions of my religious beliefs and constitute CoW’s religious scripture. Wogs as communicants contact me constantly for ministration in relation to Scientology persecution, and my ministry is to minister to such wogs and to oppose and stop such persecution. Over the past couple of months, there has been a significant increase of wogs seeking my ministrations, both as a result of apparent globally increasing awareness of Scientology persecution and the persecution itself increasing in response to such spreading awareness. Many wogs who are victims of Scientology persecution or otherwise seek ministration contact me through web sites I maintain, which is an essential part of my ministry. The URLs for said web sites are: http://www.gerryarmstrong.org, http://www.suppressiveperson.org, http://www.carolineletkeman.org. 10. Caroline Letkeman is my wife, also a target of Scientology persecution, and also a minister in the Church of Wogs. It is simply impossible for us to stop our ministerial duties while I prepare the necessary papers in response to Scientology’s appeal and petition, so I must balance the time demands of these activities, and require more time from this Court as requested. public opinion to head for is they love us and are in a frenzy of hate against the enemy, this means standard wartime propaganda is what one is doing, complete with atrocity, war crimes trials, the lot. Know the mores of your public opinion, what they hate. That's the enemy. What they love. That's you. You preserve the image or increase it of your own troops and degrade the image of the enemy to beast level. ... Wars are composed of many battles. Never treat a war like a skirmish. Treat all skirmishes like wars. by Scientology. It is impossible for me to have a normal life, and to work “normally” on the papers I must file with this Court, and it is appellant and petitioner herein, Scientology, that enforces the SP doctrine and generates the threat that precludes normalcy. Pursuant to Scientology’s Suppressive Person Doctrine, and in execution of the Fair Game policy, Scientology’s agents have, among other crimes or torts, assaulted me, run into me bodily with a car, terrorized me on the freeway, threatened to put a bullet between my eyes, staked out my home, framed me with crimes, brought false criminal charges against me, secretly and illegally videotaped me, broke into my car and stole my documents plus irreplaceable artwork, disseminated my confidential psychotherapy records, terrorized me now for twenty-two years, and subjected me to a vicious global black propaganda campaign including to governments at all levels. 13. I leave tomorrow for a trip into the interior which I have had planned for several months and cannot change the time. I also have a trip to Europe and Asia during the first two weeks of November, which was also arranged before Scientology filed its appeal and petition, and which also cannot be changed. This trip is at the request of and arranged by the Russian Orthodox Church, and is an extension of my ministerial and SPDL responsibilities. I am having to spend considerable time preparing for this trip, including the researching and writing of papers to be presented. 14. This is a big case containing approximately 40 volumes in the record on appeal in the related appeal, Scientology v. Armstrong, Appeal No. A075027, incorporated herein by reference, and about 8 volumes in this appeal and writ petition. collection of “liquidated damages” in the amount of $50,000 per utterance, for every religious expression of my religious beliefs in my ministry. Scientology says in its brief that I acknowledged making over 200 such utterances, for which the organization seeks $10 million. In reality, I have made tens of thousands of such utterances, a fact which I have sworn to in this case. Additionally, Scientology also insists that the liquidated damages penalty of $50,000 per utterance applies to each recipient of each utterance. So when I speak at a conference where there are e.g., five hundred attendees, the liquidated damages penalty for expressing my religious beliefs on that occasion would be $25 million. If on the Internet ten thousand people read this application for an extension, which I will web and post to various Usenet groups or bulletin boards, the liquidated damages penalty would be $500 million. I estimate that just since founding the Church of Wogs, I have expressed my religious beliefs with fifty thousand utterances to an average of a thousand recipients each, generating “liquidated damages” in the amount of $2.5 trillion. This is clearly a monster of a claim by Scientology, and a monster of an appeal and writ, and must be given the importance such monstrous claims and sums merit, and I should be given, I believe, all the time in the world to respond to these monstrosities. injunction, and that [I] intended to do so.” This is untrue. I have stated in many sworn declarations, and reaffirm here, that I left California in January 1997 and moved to Canada, and from that time until the present I have been free to ignore both the settlement agreement and the injunction, and from that time until the present I have stated repeatedly that I intended to do so. Thus, from early 1997 until now, over more than seven years, nothing regarding my being free to express my religious beliefs, or my expression of those religious beliefs has changed. One or two more months of nothing changing and my continuing to express my religious beliefs will not prejudice Scientology in any way whatsoever. It is clear to me that neither the Marin Superior Court, nor this Court, nor any other court in the U.S., has the legitimate authority to prohibit the free exercise of religion in Canada, or anywhere else in the world, as Scientology is trying to get this Court to do, and this fact has been clear to me, and I have so expressed such religious beliefs to the press and to wogs everywhere ever since moving to Canada, where I am a citizen. It is moreover clear to me that pursuant to the International Religious Freedom Act of 1998, H.R. 2431, this Court has a duty to stop Scientology from doing what it is trying to do, unlawfully using this Court to prohibit my free exercise of my religion and the free expression of my religious experiences, knowledge and beliefs in Canada, in Europe, in Asia and everywhere else in the world. None of the utterances that comprise my religious expression of my religious beliefs for which Scientology wants this California Court of Appeal to punish me for, with a $50,000 penalty per utterance, and with jailing and fining, occurred in California. [Pg. Nos. 098-100], Order of Contempt. Judge Thomas ordered that Armstrong pay a fine of $1,000 and be confined in the County Jail for two days. Id. [Pg. No. 100]. Armstrong fled the jurisdiction, and on August 6, 1997, Judge Thomas issued a bench warrant for his arrest. Exs. Tab 9, [Pg. No. 101], Bench Warrant.” This also is simply not true. I left California in January 1997. Scientology got its order of contempt, without service on me of any order to show cause or any other notice, months later. of religion and expressed my religious beliefs, which Scientology seeks to get this Court to stop and to punish me for, Scientology will not be prejudiced in any way by my continuing to so exercise my religious freedom and so express my religious beliefs a few more weeks, months or years. Executed this 20th day of October 2004 in Chilliwack, B.C., Canada. [ ] (By Mail) I caused such envelope with postage thereon fully prepaid to be placed in the Canadian mail at Chilliwack, B.C., Canada.